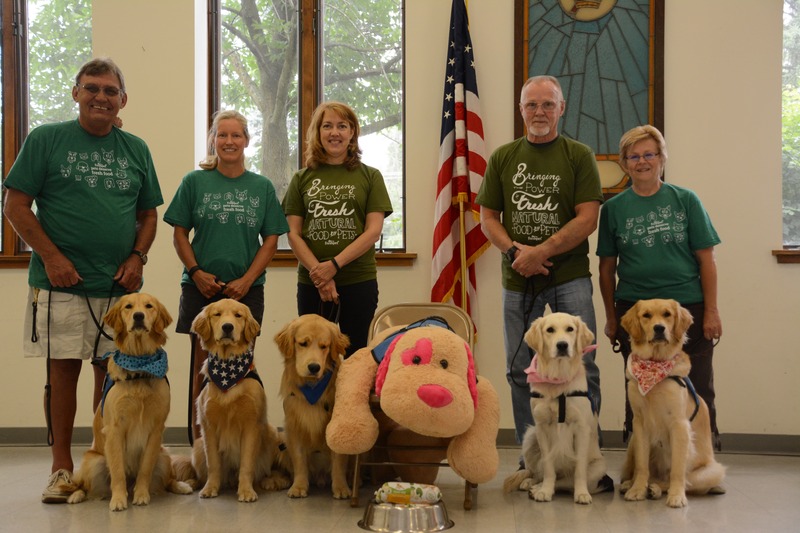 After the devastating mass shooting in Orlando at a gay nightclub, the Lutheran Church Charities sent their team of K-9 Comfort Dogs to support the shaken city. 12 dogs and their 20 handlers flew to Orlando early Monday following the event. They visited churches, hospitals as well as the staff of Pulse, the nightclub where the shooting occurred. Their intention was to bring love, relaxation and comfort to victims of the shooting, their families and the medical workers involved. "Your blood pressure goes down when you pet a dog, you feel more comfortable, and people end up talking... 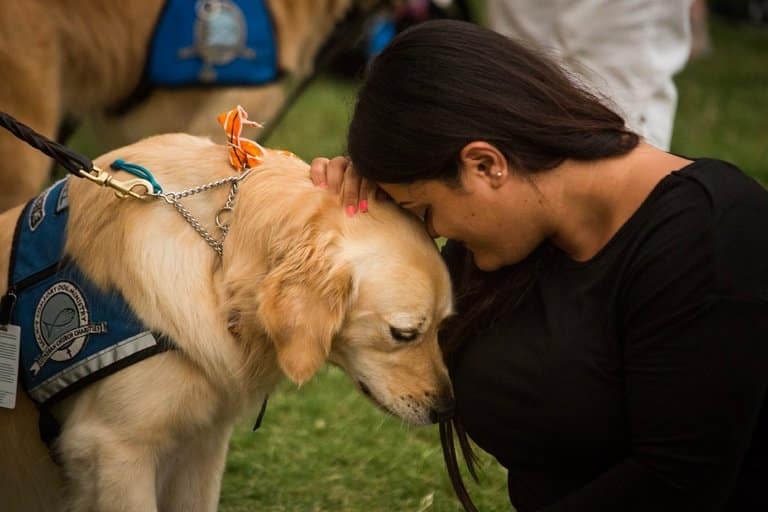 They're good listeners, they're non-judgmental, they're confidential," Tim Hetzner, president of the LLC Comfort Dogs told ABC News. Susie, a comfort dog, on Tuesday near a memorial site for the victims of the mass shooting in Orlando, Fla. Credit John Taggart/European Pressphoto Agency After hearing about what the amazing LLC K-9 Comfort Dog team did to reach out and help those in need during such a difficult time, we wanted to show them some appreciation. We sent the dogs and their wonderful handlers a care package of Freshpet rolls and t-shirts as our way of saying thank you. We encourage you to reach out the LLC K-9 Comfort Dog Facebook page and show them love too! 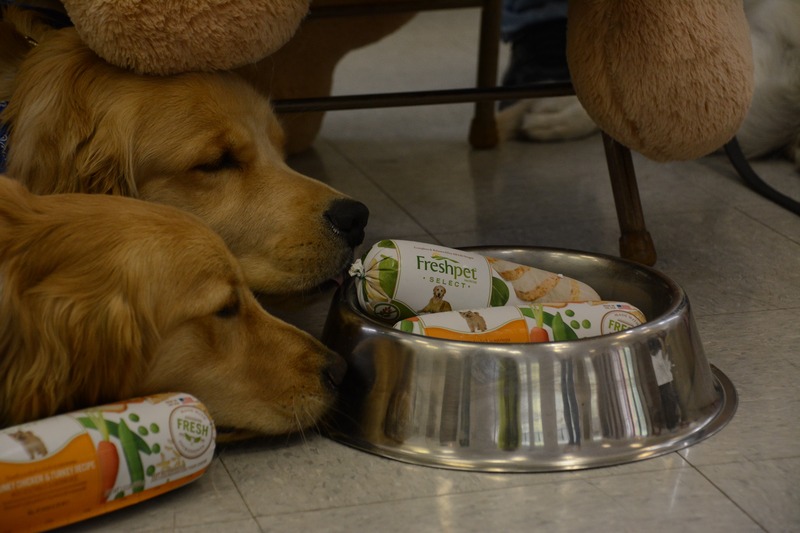 The K9 team sniffing out our favorite rolls including Freshpet Select Chunky Beef and Freshpet Select Grain Free Chicken. Thank you so very much. There are no words that I can for all that you did for everyone. I hope that you all get a chance to regroup and get some rest. God knows you deserve it. Bless all of you. Freshpet always put the pets lives first. Their products are used in older dogs as well as pups and kittens. Vital is a well balanced meal for the older dogs. The products all loved by all dogs and cats. Their treats are natural, like turkey bacon, eatable for human consumption. The gourmet of pet foods. Much success and thank you for helping our pets to stay healthy. Wonderful way to show your appreciation and support of this wonderful team. While traveling to Virginia in May, we stopped into a PetSmart in Williamsburg and bought our little Shih Tzu, Bella, a tube of Freshpet chicken. We adopted her in January and were having an awful time getting her to eat regularly so I had resorted to cooking her meals but couldn't do it while traveling. When Freshpet entered her life it all changed. She loves it. She eats it in the morning and the evening and we have stopped worrying about her. Thank you! Please don't change a thing! This is such a beautiful example how golden retrievers can do God's work. My hope is to have my golden retriever ,Kippi, be certified so she too can join the force of love and support! I follow the individual Comfort Dogs on Facebook and they are amazing! This was so kind of you to do. I have a therapy dog and she is ready to eat after visits! I discovered Fresh Pet in the refrigerator in the dog food aisle at my local Big Y about two months ago. Bella loves it and I love knowing it's all fresh ingredients. It's so easy to feed and saves me time! Thank you for making such great dog food and for supporting the work of the LLC K-9 Comfort Dogs! Thank you in advance for my information . I have a small 4#6oz dog rescue 9 yr old poodle. Food is a real issue. I was feeding my deceased older dog Freshpet. She will only eat the chicken version. I purchased beef, she would not touch it! Vet says if she get hungry enough, she will eat it. I tried the no grain, same thing, I threw it away and always go back to chicken. Can you give me any insight to as why she does this. Could it be texture. like she loves all plain meat. Will not eat a fried egg but will eat a boiled egg. Thank you for making such wholesome food.